Illustrator Emmanuelle Walker has adapted her award winning Beautiful Birds book for colourists to enjoy. I caught up with the talented bird lover. 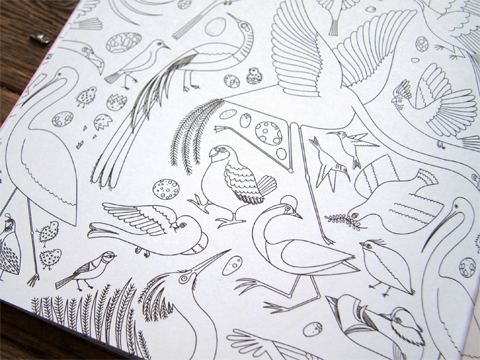 I was aware of the gorgeous Beautiful Birds A-Z book before it was turned into a colouring book, so I was very excited to see that it had been translated into a new interactive version. I tracked artist Emmanuelle Walker down on Twitter to find out more about her spectacular avian friends. 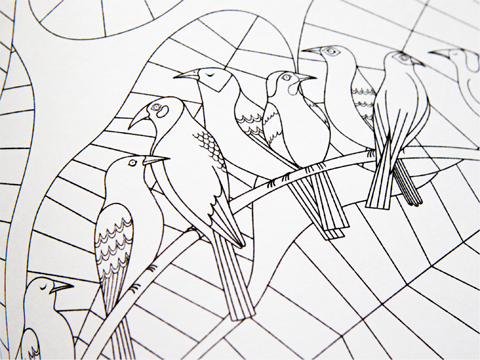 If you love birds or you’re just looking for a gloriously different colouring book to get lost in, this is one you should try. How did you first hook up with Nobrow/Flying Eye and how did your original Beautiful Birds book come about? 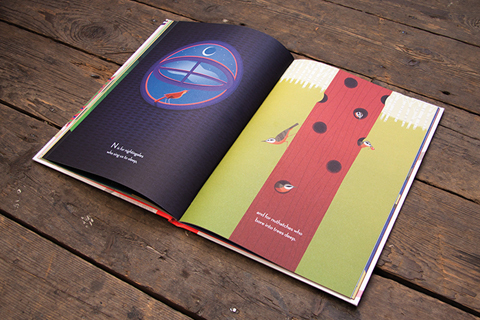 In 2013 I saw a tweet from them saying that they had a spare spread for Nobrow‘s annual magazine. I sent them a link to my work and they immediately sent me an email. They wanted to meet me. 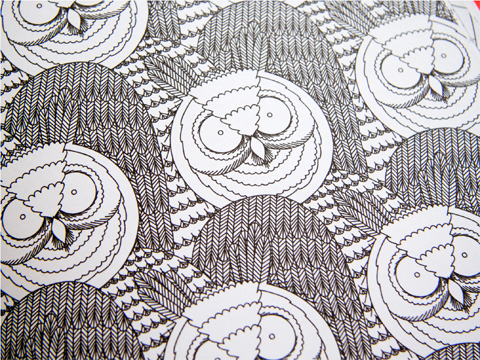 How did you choose the birds that are featured in it? I worked from the text I received from Jean Roussen, so I didn’t get to pick the birds myself. 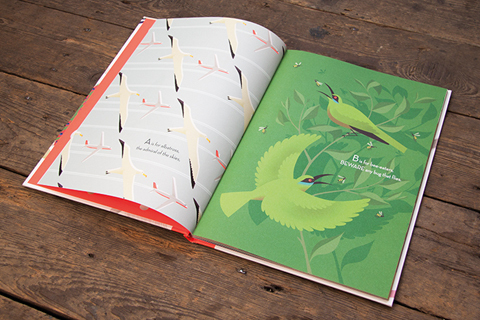 Flying Eye Books | Beautiful Birds – Book Trailer from Emmanuelle Walker on Vimeo. 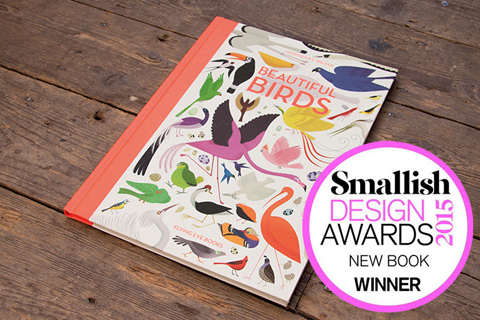 You were a winner at the Smallish Design Awards this year, did the judges tell you why they liked it so much? Yes it’s great! I don’t have any detail on how or why they picked Beautiful Birds but I’m pretty happy they did! 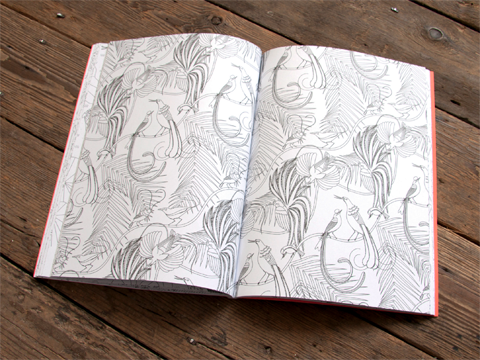 When and why was the decision made to do a colouring book version? Nobrow/Flying Eye Books came up with the idea back in June, I guess it was a way to give the book a second life, push the idea further. It is also a perfect timing for it I guess, colouring books are getting more and more popular these days. What did you have to do to adapt the book? The full colour version is more obviously aimed at children but I presume the colouring book is for adults? What has the reception been like so far? I haven’t had much news lately, all I know is that they had to reprint 3000 additional copies just before the book came out. So I guess it’s going pretty well. How do you work? What mediums do you use, what is your studio like and what do you like to have close by? I always start with a detailed spreadsheet, listing all the pages, and then I have columns for the thumbnails, rough, clean, final processes, when it’s still in progress the squares are yellow, when it’s done it’s green, it helps me track my work and to keep up with my schedule. Then I work on some tiny thumbnails for each spread so that the composition is perfect, working at a small scales really allows you to concentrate on the composition. Once all the thumbnails are all done and approved, I rough out every page on a small format, something like an A5 in terms of dimensions. I don’t like working on large scales. Then everything is scanned. In Photoshop I work out a general palette for the book, and then for each page/spread I do some very rough colour roughs again in Photoshop, trying things erasing, changing, tweaking the colours until I am satisfied. After that I start cleaning up the illustration, layer by layer. You’ve studied all over the world – how did you end up in your various locations and how did you end up in London? I was born in Switzerland, when I was eleven we moved to Montreal, Canada with my family. There I studied 2D animation and started my carrer in the animation industry there. 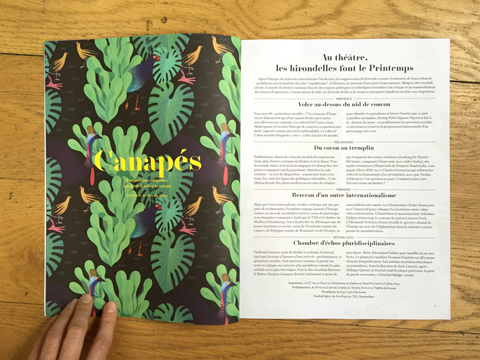 I wasn’t satisfied with what it had to offer and I knew that the Gobelins School in Paris offered a direct entry in third year if you had enough experience and passed the tests. I tried, and I got in. After a year working on our final year film, I thought I’d stay a bit longer, mainly because the winter was much warmer than the one in Montreal, but also because I felt the industry had more to offer. And then bit by bit I realised that Paris wasn’t for me for a lot of reasons but I didn’t want to go back to Montreal. I had been to London a few times for the weekend, when I was living in Paris, and I absolutely loved it’s vibe, I also knew that there were a lot of interesting companies in London, so I just made the move! It was very hard at first because I had no contacts at all and basically had to start my work network from scratch. How did you get from animation into illustration, was it a planned process or did it just sort of happen? I have always illustrated for pleasure, and designing characters for animation series, ads and films so it’s always been part of my life, I wouldn’t put myself in the “animation-box” or the “illustration-box”. What does your day to day job as an art director involve? My work as a director is a freelance job, when I receive a pitch from Nexus I pitch an idea/concept/visuals for the project. Usually we pitch against 2 other studios, sometimes more. If I am selected I get to direct the project and start earning money. The pitches are very rarely paid… The rest of the time I am working on my books, sometimes I also freelance as an animator on 2D projects, or for other personal clients. You have a huge portfolio, what is your favourite commercial project so far and why? 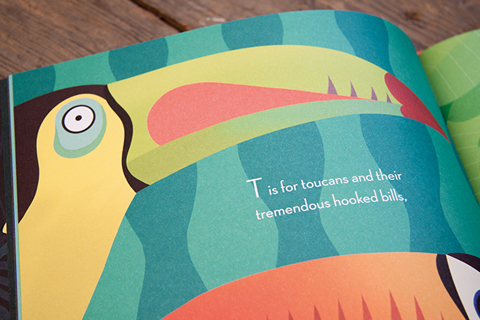 I think that the Beautiful Birds book was one of my favourite projects. First of all my clients are the children, and when they appreciate my work it means more than anything. Also I feel free, I feel that my publisher trusts me and my ideas and they really let me do what I want. 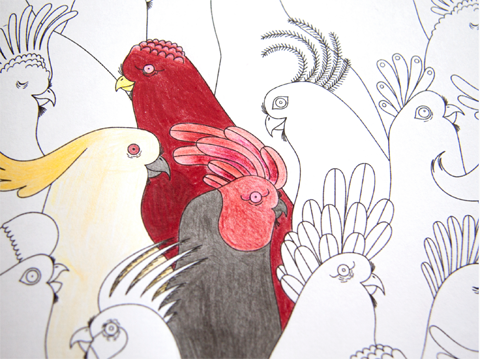 Have you seen any of your colouring pages completed and if so how did you feel about it? It must be quite a weird thing to see someone else’s creativity imposed on your own! I actually haven’t seen much. I saw a few pages on Flying Eye‘s website, but not really. I am very curious though! 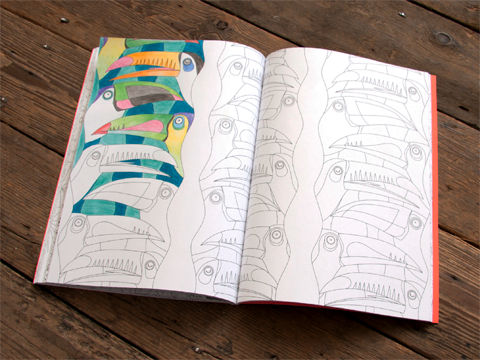 Lastly, are there any more colouring or bird based books on the horizon? No. Not for the moment, my next book will be about dogs, a loooooot of dogs! The Beautiful Birds Colouring Book is out now and available here. 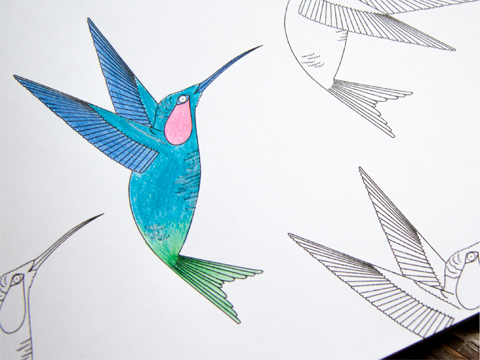 An interview with Ashley Le Quere: Amelia’s Colourful Colouring Companion featured artist.